Happy Windsday, friends! You all know your Disney World minor characters...the monks from last week's Where in WDW trivia can indeed be found on the Spaceship Earth ride at Epcot! Ready for a new pixie-dusted challenge? 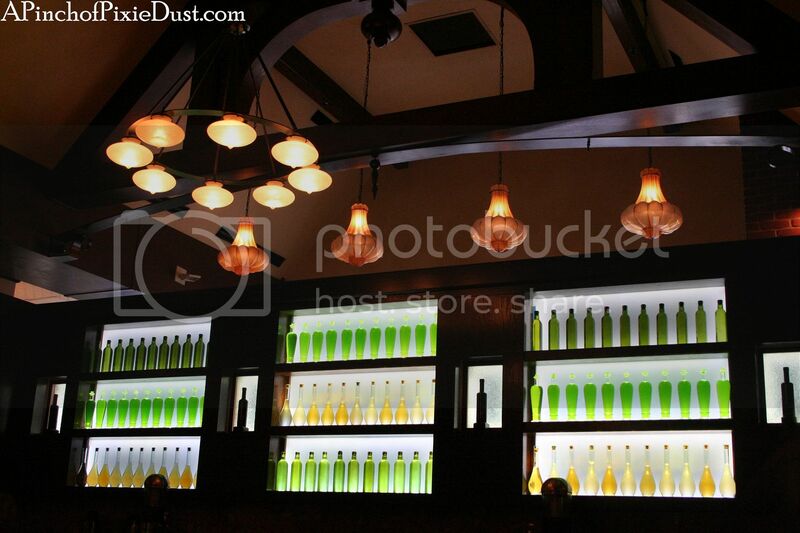 A bright wall of green bottles makes for a distinctive Disney space...and I love the almost-onion shaped lamps as well! Do you know where to find this scene?